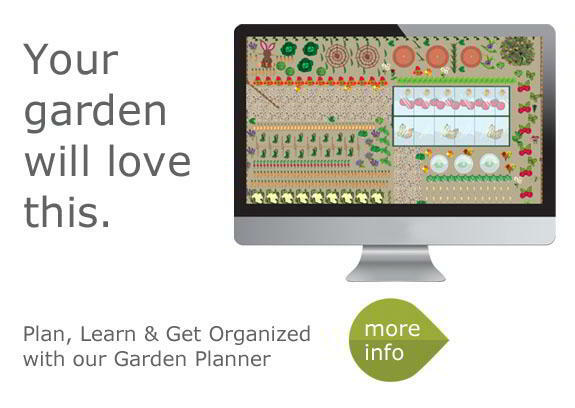 Do you have trouble handling small seeds and getting an even distribution? 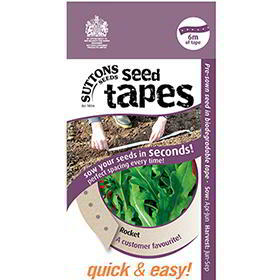 When the seedlings emerge, do you find thinning them out is a real chore? 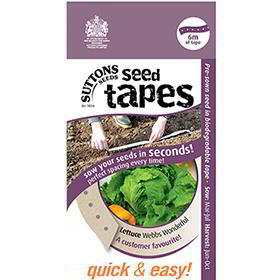 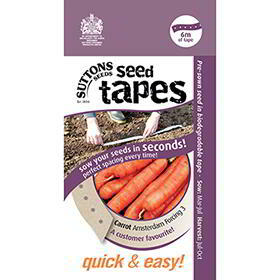 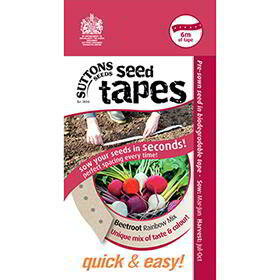 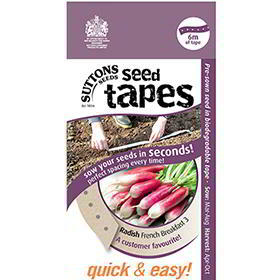 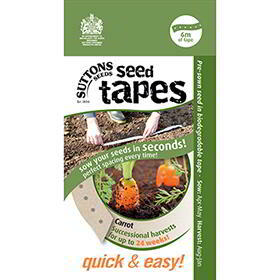 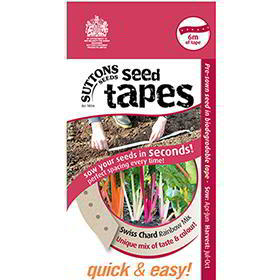 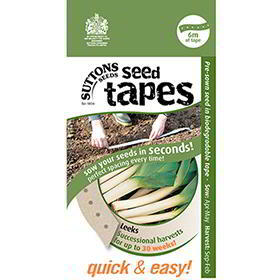 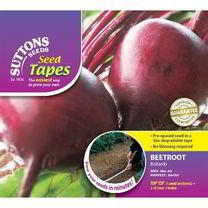 Suttons Seeds have a wide range of Groweasy Seed Tapes which will make growing your vegetables as easy as possible. 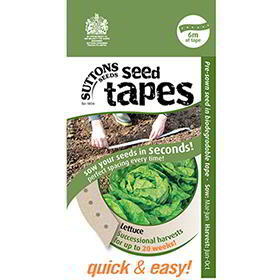 Seed Tapes contain pre-spaced seeds in a tape. 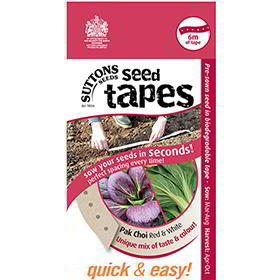 Just prepare the soil, draw out a groove and roll out your tape. 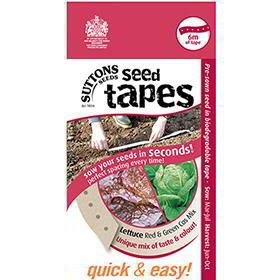 The vegetable seed tapes are biodegradable so will not cause any damage to the plant. 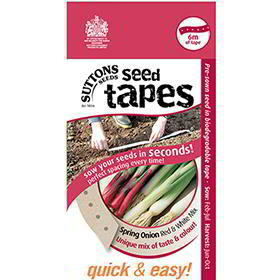 Vegetables available on seed tapes includerocket, spring onions,parsnips and many more.